Calling all you married people out there! 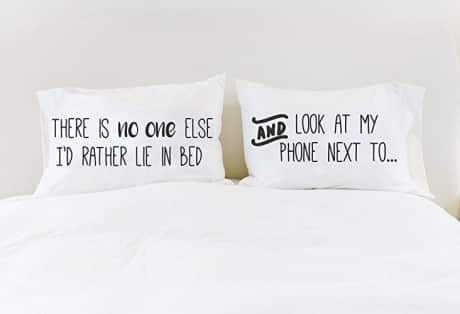 Then, it’s time to plan a date night at home. There is just one catch though… you must make this an EASY stay at home date night for true success. All you really need to do is keep it simple, Sally! 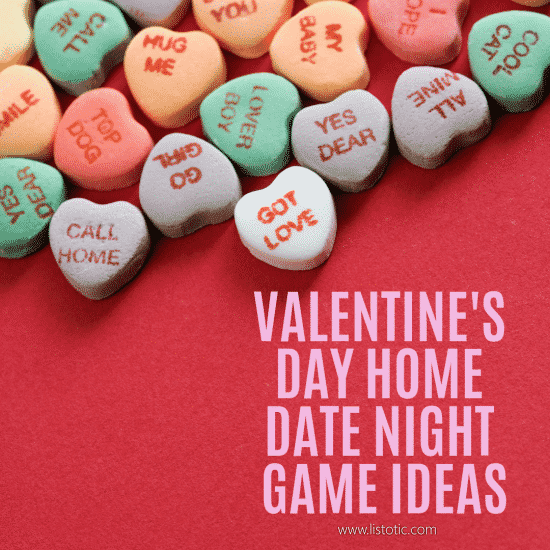 A successful stay at home date night is a stress free evening, at home, spending time (not money) with the person whom you have committed to spending the rest of your life with…or at least named as your valentine this year. 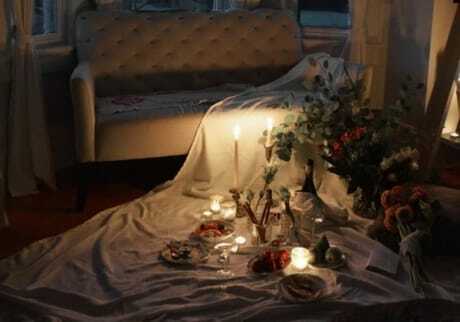 Plus – let’s not lie here; we all know if I spent an entire day cleaning the house, cooking and trying to plan the perfect night, I would have such high expectations for my oh-so-innocent and unknowing husband that he would most likely fail to react the way I wished. As a result, I would spend the evening being disappointed. “Over-doing” stay at home date night would set the stage for a stay at home-date-night-disaster! Moral of the story; think E-A-S-Y! 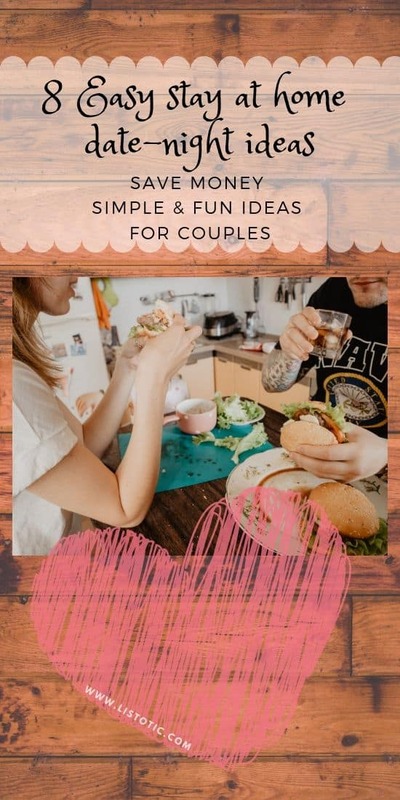 To help you out; I have come up with a list of ideas that are inexpensive, minimal preparations, and most importantly – fun for couples. 1.Set up your own brewery beer tasting at home. Some of my favorite vacations with my husband has included a brewery visit and beer sampling. Besides finding some great beers and maybe catching a buzz; I find it allows us to talk about something other than the kids for a while; compare our likes and dislikes, and forces us to slow down enough to enjoy that moment in time. The perk of setting up a beer tasting at home means no travel expense, no babysitter, or uber charge. Read about how Cole and Mary set up their perfect beer tasting at home. 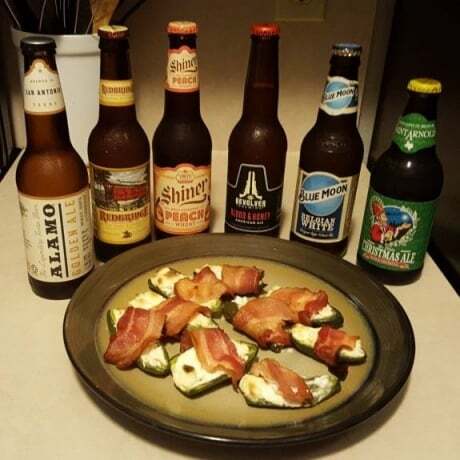 Don’t forget to have some great appetizers to go with those beer samples. 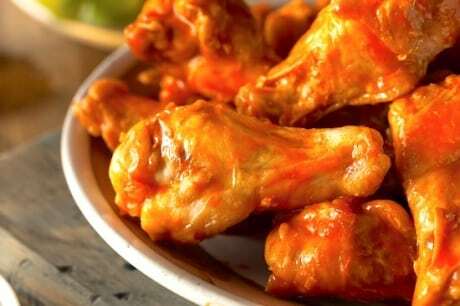 Listotic’s Buffalo Ranch Drumsticks would go perfectly. Plus, the bonus is you make them in the crock pot so you can set it up and forget about it while you are getting the kids to bed. Date night starts at the Mom & Dad happy hour of 8pm. Even if you don’t have a refined palate, this sounds like a fun time. Let’s face it, it’s basically a “sophisticated” drinking game that will challenge your senses. Read this post from South House Designs about hosting a perfect wine tasting party. I love all the different ways you could change this game around to suit your taste and budget. The South House Boutique has a fun pop-culture Blind Wine Tasting Party Score card you can purchase. 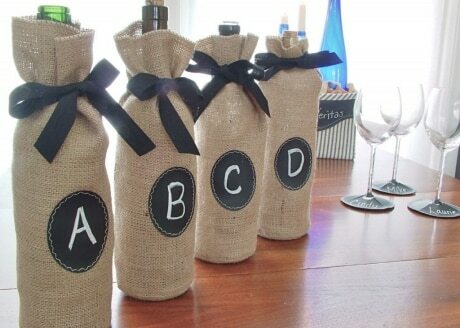 I also really liked the free printable blind wine tasting card I found on this blog post on rent.com. They have all the definitions of wine terms and places to mark down the wine’s characteristics, scores and your guesses. Forget putting on heels for this date. Instead, pull on some snow boots, hat, scarf and mittens because you’ll be heading outside of the house for this date. 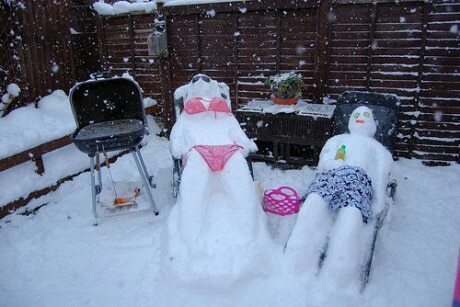 Try building a snowman together, having a snowball fight or challenge your valentine to snow sculpture competition. Chill-out… this date will heat up eventually… Afterwards, head inside to spend some time snuggling with hot chocolate. If your home does not have a fireplace to cuddle by; simply search Netflix or you tube for “fire for your home”. It’s an actual movie you can play of a glowing, warm (looking) crackling fire. 4. 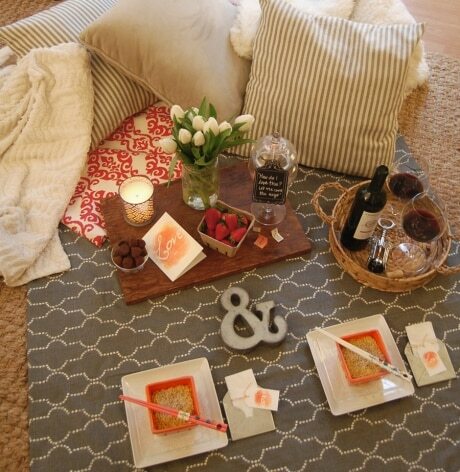 Create an indoor bedroom picnic. Valentine’s day is all about romance. Make your stay at home date night super dreamy with a picnic of candles, pillows and love notes on the living room or bedroom floor. Check out this blog post by Olive design house for some free printable and inspirational indoor picnic ideas. For more inspirational photos of indoor picnic ideas you should check out this article. What I liked about all the ideas in this post was that you don’t have to have a fancy meal with your picnic. Picnics are all about simple finger foods, sandwiches or light snacks. If setting up the picnic is plenty of work for you already then maybe take-out or pizza delivery will work well for your picnic menu. 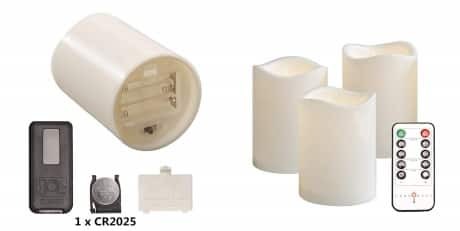 I recommend flameless candles since you are setting this up on the floor or near furniture (safety first!). I purchased these flameless candles recently for the holidays and I’ve been extremely pleased. The remote makes it a breeze to turn on the perfect mood lighting; plus they are OK to use outdoors too. 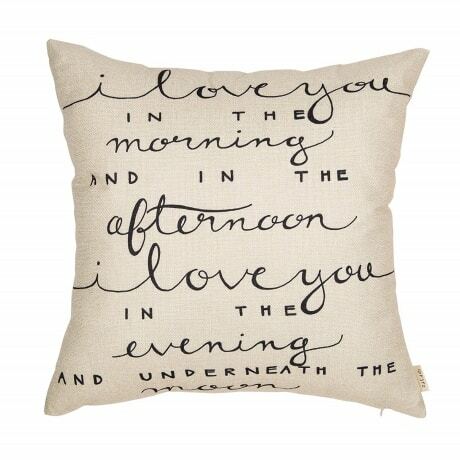 One thing you can’t forget are the pillows! LOTS and LOTS of pillows! 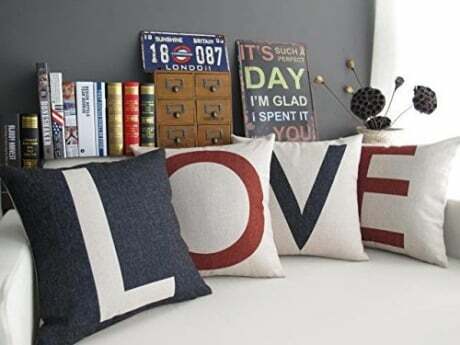 You don’t NEED to use valentines themed pillows, but if you are interested, here are some fun inexpensive pillow case covers I liked and could be used anytime of the year, not just for Valentine’s Day. 5. 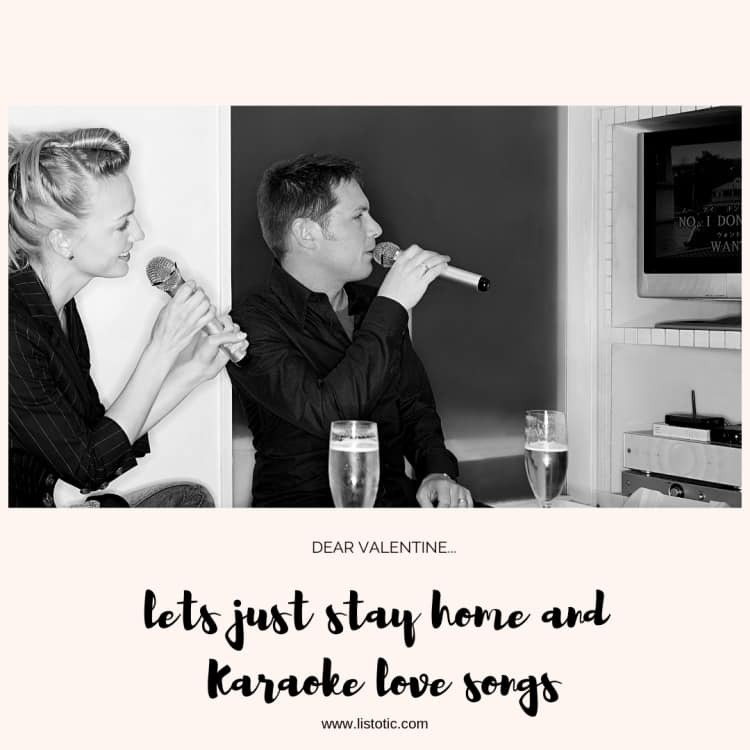 Turn up the romance and karaoke love songs to each other. This could also equal a humorous stay at home date night if it were at my house, considering me and my husband’s vocal abilities. Romantic or funny…. either way sounds like a successful date night at home. I found this article from PopSugar.com for some great tips for a perfect stay home karaoke night that is budget friendly, too. 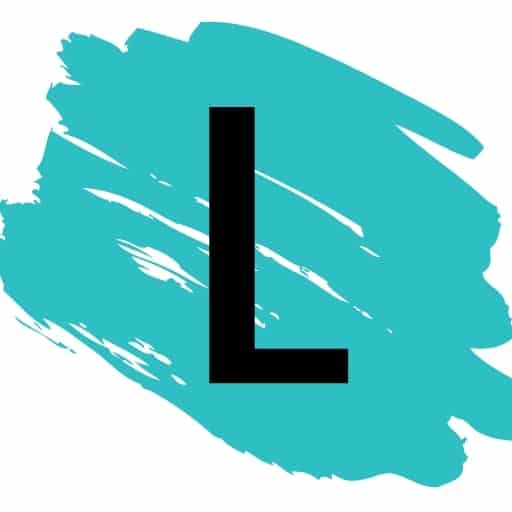 For a special twist, make it a game…only karaoke love songs from different music genres… like Hip-hop, Rock, Pop, Oldies…I’ve got you covered for Country music love songs. To loosen up for your big performance, you might need to start out with a few drinks. Here is a very special Valentine’s Day cocktail recipe you and your valentine can enjoy. 6. Try out a new workout video together. There are millions of ways to work out at home. You and your valentine can drum to the beat of your hearts with this fun drumming workout video! 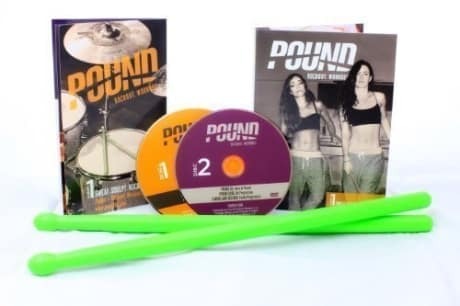 If you have ever dreamed of being in a band then you must check this out: Pound-Rockout-Workout. 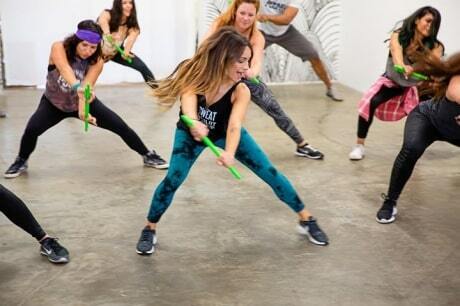 If purchasing a new workout video is not in the budget; Elite daily has some great (free) You Tube video workouts to mix things up and help get couples off of the couch. 7. Create your ultimate homemade pizzas together. This will require some advance grocery shopping for a variety of possible pizza toppings. Set your toppings up like a buffet. 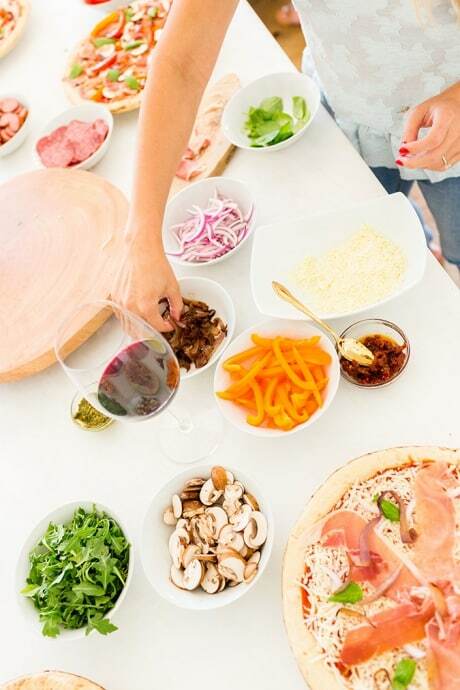 See how celebrity lifestyle blogger Lauren Conrad set up her pizza topping buffet when she had a stay at home pizza party . This stay at home date night is simple; have a great time while you bake and build your perfect unique pizza combinations. Make sure to test out the other person’s pizza combination in the end… (maybe you’ll end up changing your opinion on adding pineapple to pizza! ) 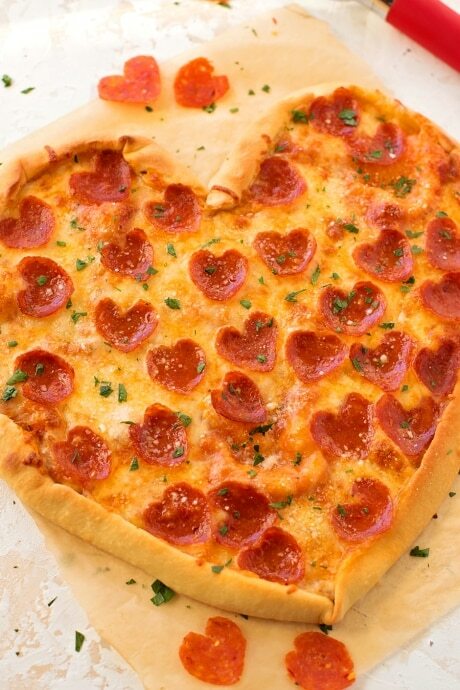 For another fun & lovey-dovey twist consider creating your pizza crust and Pepperonis in a heart shape like Kristyn over at Lil Luna. 8. Have a game date night. Pull out a board game, remind yourselves how to play euchre, plug in your kids Nintendo Wii, or set up a Valentine’s Day minute-to-win-it competition like in this blog post by Together as a Family https://togetherasfamily.com/valentines-day-minute-to-win-it-games/. Playing games brings couples closer. It forces the couple to put effort into communicating with one another, and allows an escape from the regular routine of the relationship. 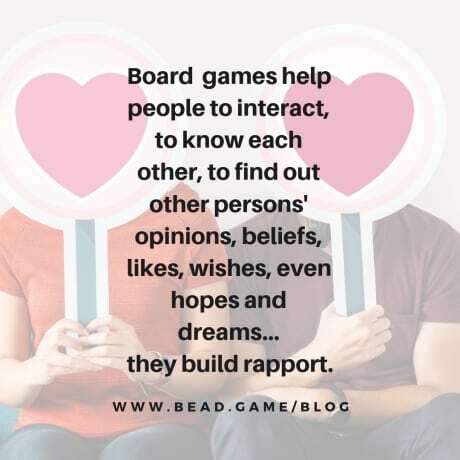 Read it here:https://www.bead.game/blog/item/16-3-reasons-why-couples-should-play-board-games-together. Game on! I hope one of these ideas will set off a spark for you and your Valentine! Notice… none of these ideas included binge watching a TV show or a movie. 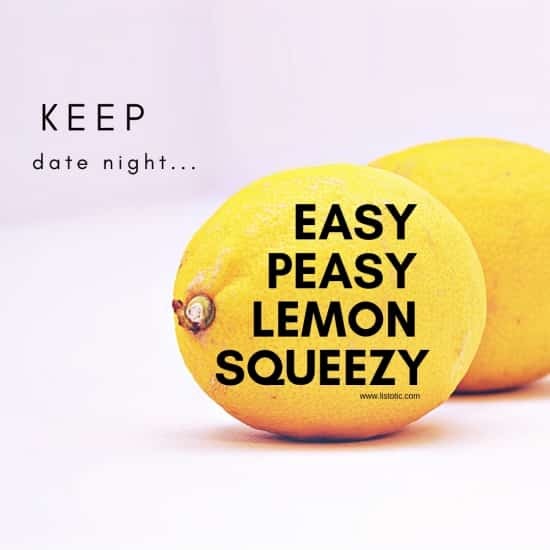 This article might be called “Easy” stay at home date night ideas – but there is nothing that says relationships are easy. You must work at it, and if you are both just zoned out, glued to the TV, it’s easy to skip the part of the night that is most important – communication and interaction. If you can’t remember the last time you had an actual conversation with your partner, you might need some help with topics. 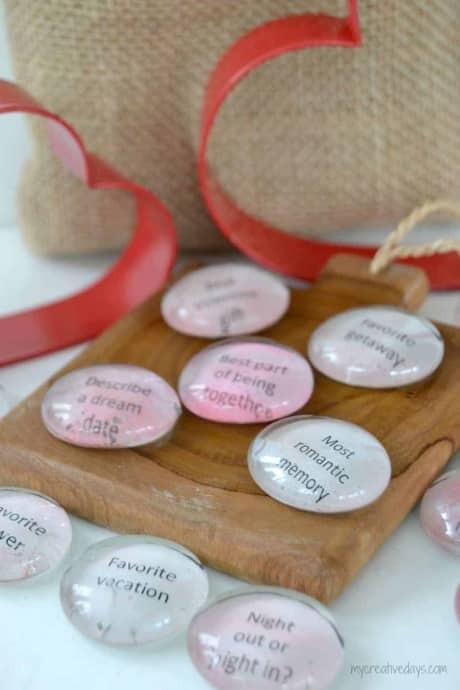 Check out this article: https://mycreativedays.porch.com/valentines-day-date-night-game/ for a DIY project you can prepare before your stay at home date to help give you some conversation starters. Start your morning off on a high note with these delectable breakfast ideas. These easy frozen Rosé cubes (also known as Frosé) are a complete game changer! Unique ways to burn a few extra calories each week, and from home!